The FA-Line of advanced, modular UV-flexo presses sets the standard for sophisticated, yet easy-to-control printing. 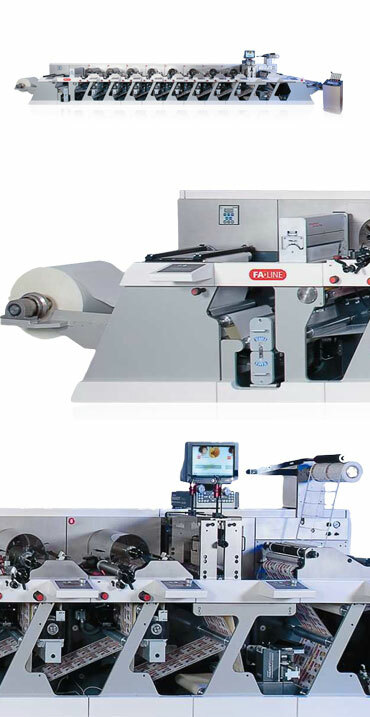 These third-generation servo-driven presses feature a broad range of printing options and the flexibility to handle future printing and converting technologies. Available in 13”, 16”, 20”, and 22” widths, the FA-Line is ideal for handling an extremely broad range of multi-substrate packaging materials. Easy-load sleeve technology provides super-fast make-ready. And the optional Press Management Center helps control all print jobs and lets you preset process and production parameters, ensuring exceptional quality. With low waste and set-up times reduced to seconds per unit, these presses give you easy-to-operate, cutting-edge technology.